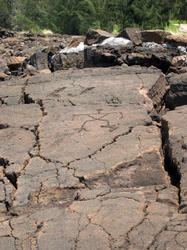 A Petroglyph is an ancient carving that was made on a lava flow. 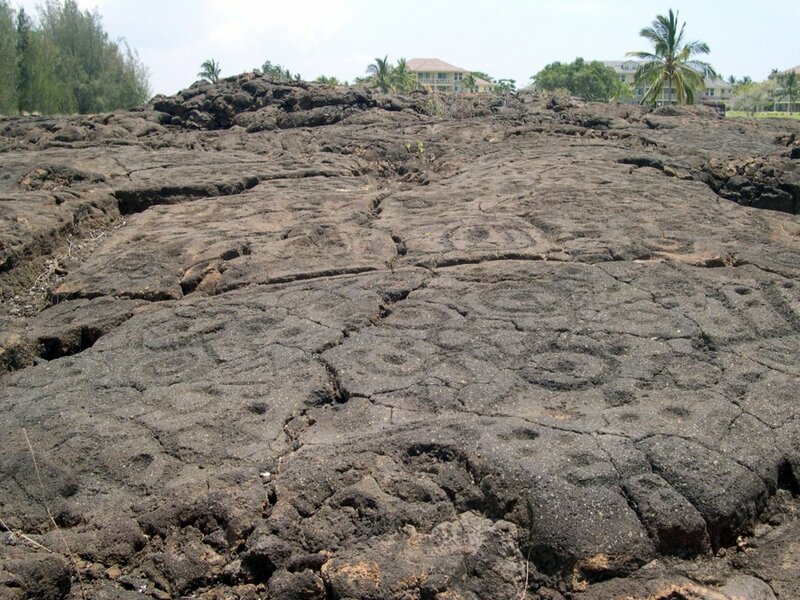 They were most probably created by ancient Hawaiians by using a pointed stone and hitting that stone with another rock (like a hammer). 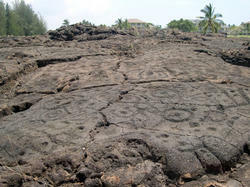 In this manner, they were able to chisel out their designs. 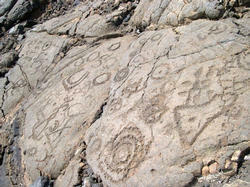 Each design was a symbol that depected an event in the life of the people who were entrusted to create the picture story. 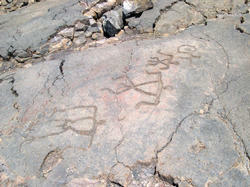 Events such as tribe movements, births, deaths, and even hunting were depicted on the stone. 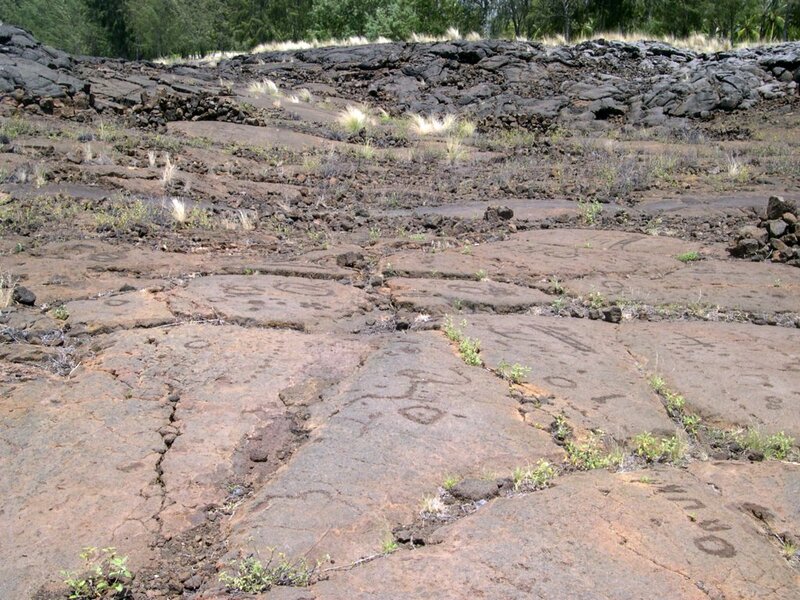 These lava Petroglyphs are considered sacred to the people of Hawaii and are protected as National Treasures. 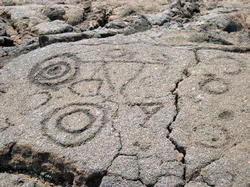 To date, there are more than 100 known archaeological sites on six of the Hawaiian Islands. 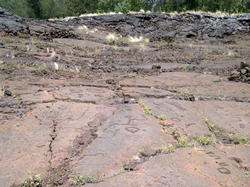 The Waikoloa Petroglyph Field is by far one of the most accessible and pronounced Petroglyph Field in the state. 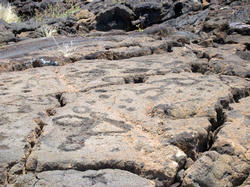 It is Hawaii's second largest petroglyph field. 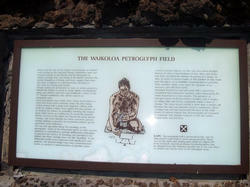 The field is an ancient burial ground with the remains of an ancient fishing village. The field is located less than 30 minutes north of Kailua Kona traveling on Highway 19-the Queen Ka'ahumanu Highway, to mile marker #76, on the Big Island of Hawaii. 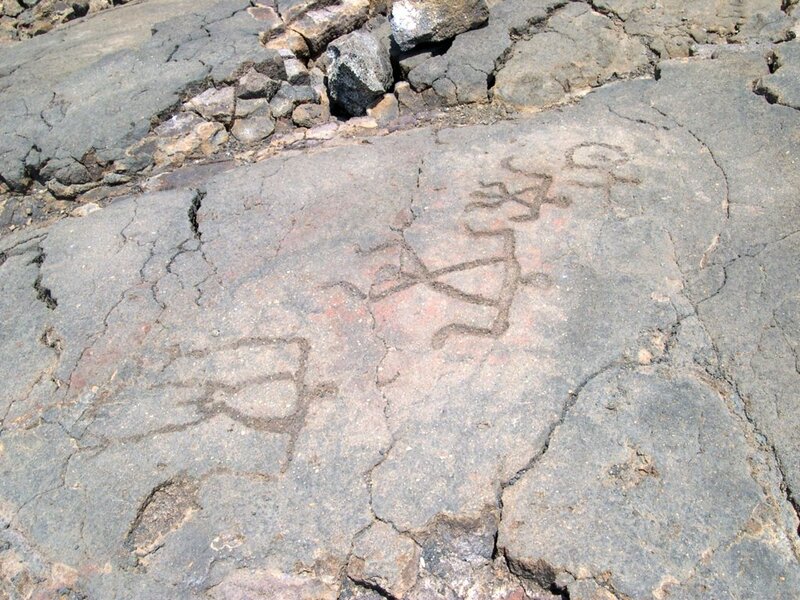 With carvings that date from around the 1400s to the 1800s, this petroglyph field offers hundreds of carved figures depicting stories of generations. 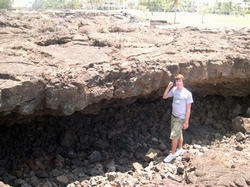 When visiting the field, you will also stumble upon open caves in a U-shaped pattern. 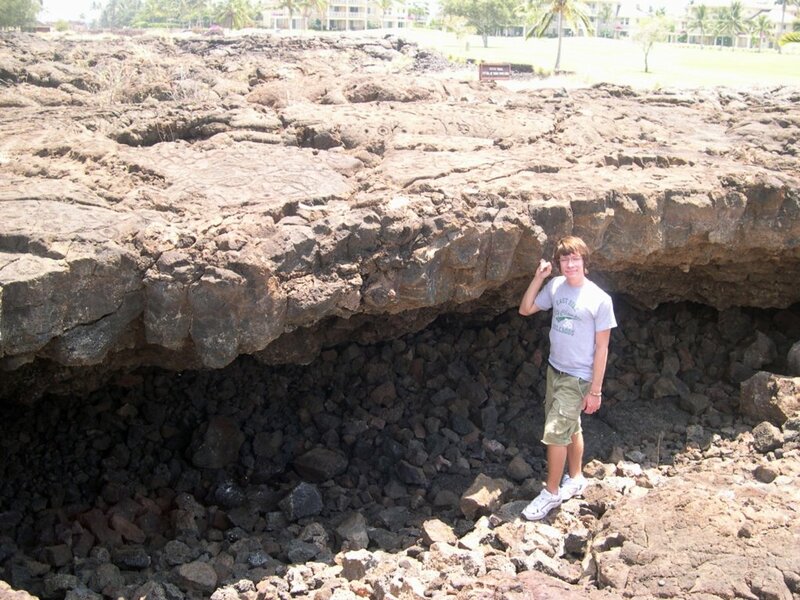 These 'caves' were used to protect travelers from the gusty winds that often blew across the trail. While experts disagree about the true meaning of the petroglphs, there are plenty of theories to interest even the most skeptical. 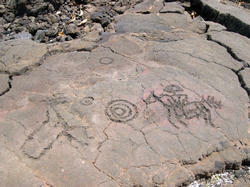 Tales include ceremonies and rituals, recording of a clan's movement over the island, to birth records. 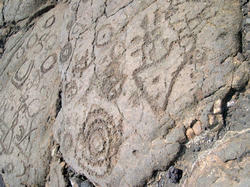 Some shapes are easy to point to and recognize, while others are open for debate. Petroglyphs such as horses and other animals are easy to spot, but Roman letters and numerals are quite puzzling. When you see the images that look like holes, worms, or circles, this is where umbilical cords from the birth of a child where buried to assure long life for that child. 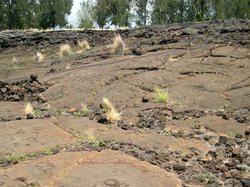 The field is located precariously between some new developments, the Waikoloa Kings Shops and a Golf Course. Little markers direct you to the field and you are on your own. 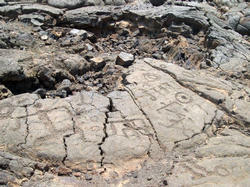 Several markers warn visitors that they should not step onto certain carvings, nor deface property. 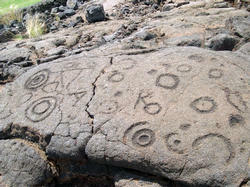 Sadly, vandalism is becoming a problem in the field. 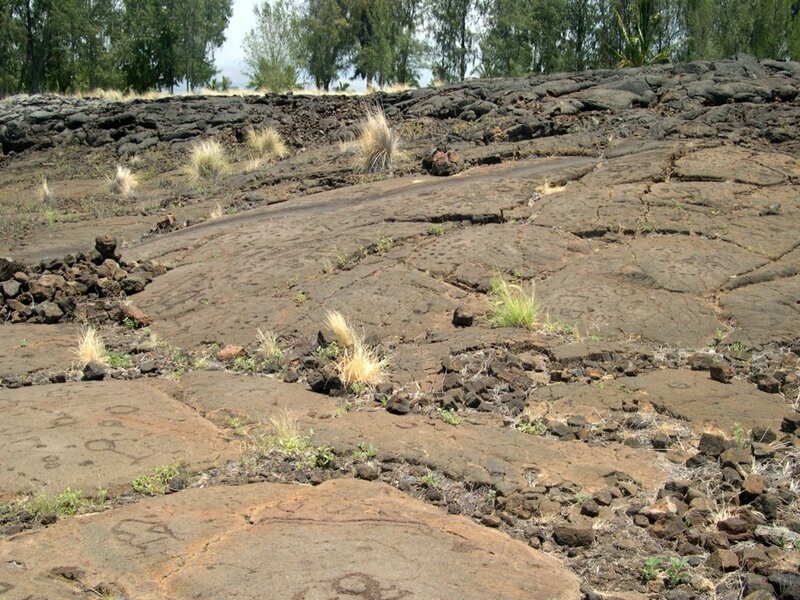 Should you decide to venture into the field be sure to wear a hat, sunscreen and good shoes. 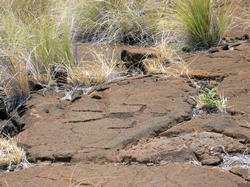 The trail is very rocky and runs on for miles. There is no shade so bring plenty of water.